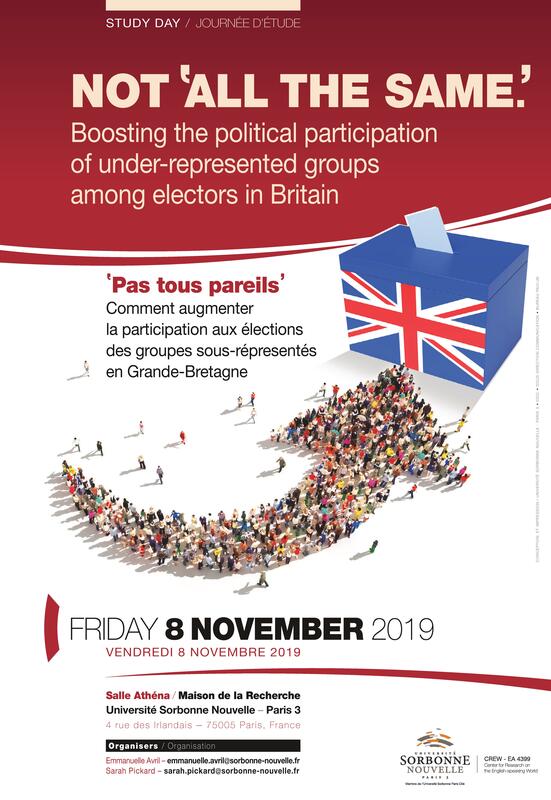 Université Sorbonne Nouvelle - Paris 3 - Not ‘all the same.’ Boosting the political participation of under-represented groups among electors in Britain. Not ‘all the same.’ Boosting the political participation of under-represented groups among electors in Britain. Journée d'étude : Not ‘all the same.’ Boosting the political participation of under-represented groups among electors in Britain.